If you talk to people that grew up in the village in the 1950s and 60s they will often have fond memories of Long’s shop in Church St. From this picture it is not hard to see why. The shop lists “confectionary, ice cream, book & toys” as its main wares – along with cigarettes of course! Prior to Mr. Long this shop was another bakers run by Mr. Day. Long’s closed in the early 1960’s and is now a residential house – although the shop window is still evident. 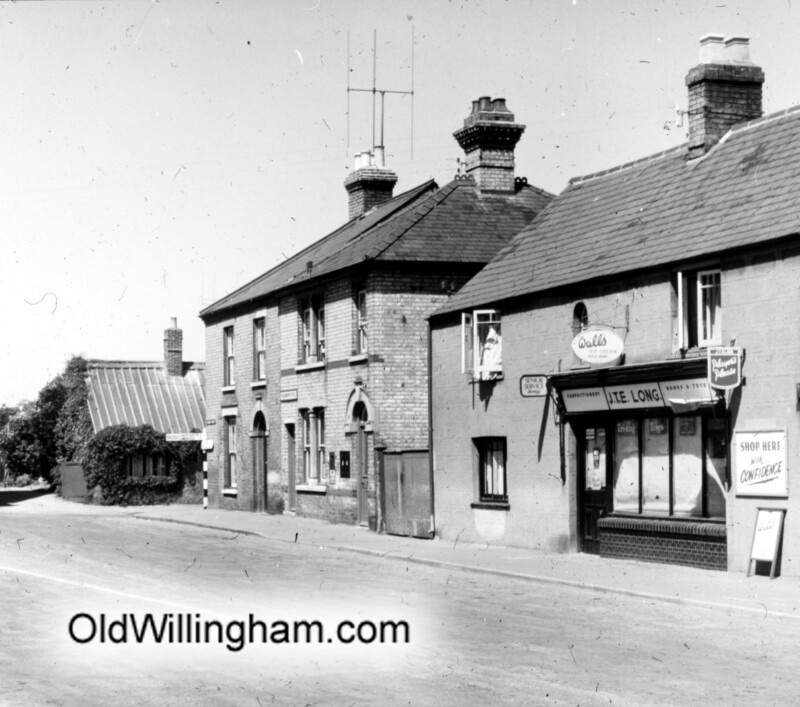 The building next to Long’s was, at that time, the village post office prior to moving to its current location on the High St. You can just see the post box in the front wall and the two stamp machines.